Neon Genesis Evangelion: The End of Evangelion is everything Pacific Rim wanted to be. While the title is certainly a mouthful, it’s a fascinating action movie that is only outshone by its backstory. Neon Genesis Evangelion was an anime TV series in the ‘90s about three teenagers trained to pilot huge robotic suits in a war against giant monsters. The disappointing two-episode series finale was so reviled by audiences in Japan that the anime’s creator, Hideaki Anno, received death threats. To appease fans, Anno released two movies: Death & Rebirth (which retells the series’s plot in 100 minutes) and The End of Evangelion, a proper climax to the story. The End of Evangelion is so full of heady ideas, it’s practically impossible to fully understand upon its initial viewing, or even after a second or a third. It’s more open to interpretation than Mulholland Drive, more visually disturbing than Eraserhead, and more mind-boggling than 2001: A Space Odyssey — yet it’s also packed with wall-to-wall action. Watching the series isn’t necessary (though viewing Death & Rebirth certainly allows for a fuller appreciation of the sequel/finale). Neon Genesis Evangelion: The End of Evangelion stands on its own not just as a spectacular climax to a story but as one the most perplexing and intense animated movies of the ‘90s. WALL-E just may be Pixar’s greatest movie. The sheer audacity of having virtually no dialogue during the first third of a cute, animated movie is hard to believe, especially coming from Disney. Taking its time to develop character and paint a detailed view of a grim future, WALL-E hypnotizes from its very first shot. The movie takes place in 2805, after the Earth has been polluted to its saturation point and all humans have left the planet. WALL-E is the only functioning clean-up robot left on Earth. One day, a sleek-looking robot named EVE descends from the sky. EVE is a scout robot sent by humans to check for signs that the planet could once again support life. After finding a living plant, EVE returns to space and WALL-E follows. The ensuing plot becomes both a satire on consumerism and one of the most heart-tugging and genuine romances in modern cinema – a feat made all the more impressive by the fact the main characters are nearly-silent robots. With a powerful environmental message for kids and a touching love story for adults, WALL-E is must-see animation. One of the greatest remakes in cinema is David Cronenberg’s version of The Fly, which strips away the camp of the 1958 original and amps up the grotesquery and tragedy. Seth Brundle (Jeff Goldblum) is a brilliant scientist who has created a teleportation device capable of transporting a person from one telepod to another. One night, Seth drunkenly tests the teleporter on himself, unaware that a housefly is also in his telepod. The teleportation program, unaware of how to reanimate separate entities, combines the DNA of both Seth and the fly when it reconstructs him in the other pod. This begins a sad tale of hubris and misfortune, as Seth slowly devolves and loses his humanity. The plot can be seen as a metaphor for battle against any number of diseases as well as just a devastating look at aging. Cronenberg is not afraid to employ gore in his visual effects, but it’s never done arbitrarily. It’s rare for a sci-fi horror movie to also be a powerful love story, but the doomed tale of Seth and Veronica (Geena Davis) manages to also be that, with one of the most powerful endings in science-fiction. By the mid ‘00s, the Star Trek franchise was mostly dead. After six television series and ten movies, interest had largely waned and many felt the hokey effects and hopeful optimism just didn’t have a place in modern entertainment. It was J.J. Abrams, the man behind Lost and the excellent Mission: Impossible III, who showed Star Trek could still work for new audiences by injecting it with a healthy dose of Star Wars. By ramping up the action and exploiting scenes for their natural comedy, 2009’s Star Trek flew higher than any previous movie in the series had. What’s more, it found an ingenious way to not only work at a fresh introduction to the series for the uninitiated but also to also take part in the same universe at the earlier shows and movies, using a very clever time-travel plot device to rewrite its past. The cast, who all had daunting tasks ahead of them in portraying characters so equated with their original actors, found a perfect balance between homage and originality. Abrams’ work on Star Trek has become a lightning rod for fanboys and Trekker purists who cringe whenever they hear “lens flare,” but his 2009 reboot managed to be a better piece of sci-fi entertainment than any of the more traditional Star Trek movies had been. Less of a remake than a complete teardown and reconstruction based upon a similar setup, John Carpenter’s The Thing vastly improves on 1951’s The Thing from Another World. In the original, a scientific team in the arctic discovered a plant-based alien buried in the ice and had to kill it before it killed them. In the 1982 remake, the team is still trapped in the arctic, but the life form they find is parasitic. With access to the outside world cut off, cabin fever sets in and everyone turns against each other, unsure of who’s infected and who’s not. It’s a fascinating concept to apply to the scenario and it leads to the movie being an incredibly frightening tale of paranoia. Even without the shock moments and gory visual effects that punctuate the movie, The Thing manages to be one of the scariest movies in science-fiction by setting its events in motion and then stepping back to let its characters deal with each other. The fact that it’s not always clear who’s really infected makes the movie all the more gripping. District 9 is many things – a fake documentary, an action movie, a horror film, a black comedy, a South African apartheid parable – but more than anything, it’s a provocative piece of science-fiction. District 9’s setup begins in 1982, when a gigantic spaceship came to a hovering rest of Johannesburg, South Africa. The ship had broken down and the aliens found inside were malnourished to the point of death. The aliens were transported down to Earth, but their camp was soon turned into a prison (the titular District 9), with peoples’ xenophobia and prejudice leading to the aliens (derogatorily called “prawns” by human characters) being segregated, mistreated, and denied the right to leave Earth. Decades later in 2009, when a government agent (a sympathetic Sharlto Copley) is tasked with relocating the aliens and becomes infected inside District 9, he begins a transformative journey that takes unpredictable twists and barrels through insane action sequences while telling an incredibly smart story. District 9 is pretty much everything you could want in a modern sci-fi movie. One of the seminal sci-fi thrillers, Ridley Scott’s Alien was revolutionary for its time and holds up better than most pre-CGI movies. The gripping suspense of the film is matched by its bravura pacing and an authentic-feeling vision of the future. The towing spaceship Nostromo responds to a distress call on a nearby planet, only to discover a lethal species of predatory aliens. The first half of the movie is an atmospheric wonder of slow burns and growing dread. The second half of the movie involves an alien sneaking onto the Nostromo after the crew depart the planet. At that point, Alien becomes a futuristic Agatha Christie story, with the alien hunting down the crew members one by one. The cast, including Sigourney Weaver, Ian Holm, John Hurt, Tom Skerritt, and Harry Dean Stanton, is wholly perfect in their roles. Scott’s vision of spaceships that were dank and grimy instead of shiny and sterile was incredibly bold for its day. Alien introduced one of the scariest monsters in cinema and is still one of the tensest movies to take place in outer space. Following up the global blockbuster and cinematic game-changer Star Wars (or A New Hope, as it would be rebranded) was seemingly a no-win scenario. Star Wars had taken the world by surprise and tapped into something no movie had before 1977. It had both become the highest-grossing movie of all-time and been nominated for Best Picture at the Oscars. On top of all that, the story had been seemingly told as far as it would go. Many people had high hopes but low expectations when The Empire Strikes Backwas released in 1980. What people got was a much darker tale of personal setback, death, betrayal, loss, and heartbreak. On top of that, it introduced Yoda, who would become a memorable favourite amongst fans; “The Imperial March,” one of the most recognizable pieces of film score in science-fiction; and one of the greatest, and arguably the most well-known, plot twist in movies. (Search your feelings. You know it to be true.) 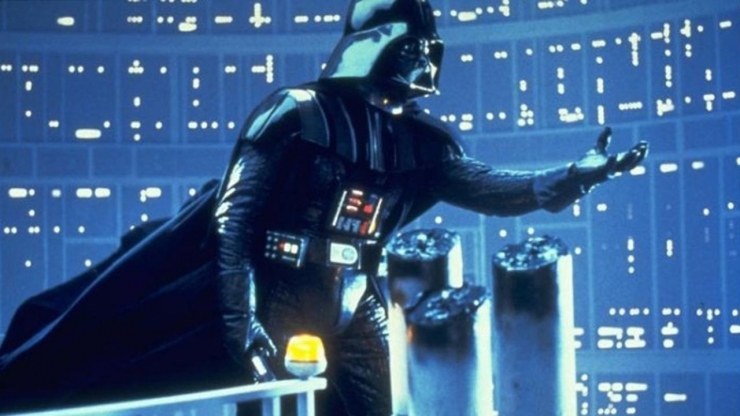 Debates still rage on over whether The Empire Strikes Back is superior to Star Wars. Whichever you prefer, it’s essentially comparing one diamond to another. There are those who don’t consider Ghostbusters science-fiction. Some argue its paranormal and supernatural elements make it more fantasy than its proton packs and particle accelerators make it sci-fi. (To be fair, original versions of the script also involved time travel, space travel, and parallel dimensions.) When it comes down to it, Ghostbustersis not only sci-fi, it’s the greatest sci-fi comedy there has been. The tale of three unemployed parapsychologists who start up a ghost-hunting business in New York is rich soil for comedy, and Ivan Reitman and the cast reap every opportunity. Bill Murray is in top form as Peter Venckman, as are Dan Aykroyd as the childlike Ray and Harold Ramis as the ever-serious Egon. Its special effects were pretty impressive for its time, especially for in a comedic movie. Moreover, Ghostbusters is one of the most gorgeously filmed comedies; almost every shot is framed perfectly and subtle establishing shots go a long way toward showing both the beauty and the creepiness of New York City. One of the funniest movies of all time and a perfect balance between comedy and science-fiction, Ghostbusters set the standard for its sub-genre. Many of the ideas in The Matrix weren’t entirely original. Movies like Strange Days, Ghost in the Shell, and Dark City tackled them first, but none of them approached the concepts as stylishly. The Matrix came along at just the right time, when people were thirsty for a great, new science-fiction movie that used ever-improving computer effects. As 1999 began, many expected that quenching movie would be The Phantom Menace, but it was Andy and Lana Wachowski’s The Matrix that went down as the sci-fi opus that brought the millennium to a close. Thomas Anderson (Keanu Reeves) works in a cubicle by day and does under-the-table hacking jobs under the alias of Neo by night. His life is turned upside-down by the revelation that the whole world as we know it is actually a computer program that machines use to brainwash our minds while they harvest the energy from our slumbering bodies. Once freed by Morpheus (Lawrence Fishburne), Neo is enlisted to take down the machines and free everybody who’s still “plugged in.” The sequels may have left a bad taste in some people’s mouths, but it shouldn’t detract from the outstanding achievement of the original. From the innovative “bullet time” sequences to Hugo Weaving’s deliberate performance as the sinister Agent Smith, The Matrix was the perfect movie for its time and ushered sci-fi into the modern mainstream.